A maths teacher has been sacked for gross misconduct after a student accessed horrific footage of a jihadist beheading in her classroom. 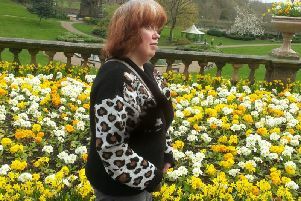 Moya Fletcher, who lives in Chorley, said she had been made a scapegoat. The 51-year-old was dismissed by Rathbone, a charity which provides education to disaffected and vulnerable young people. Ms Fletcher was sacked in October last year after the incident at its centre in Wigan. She claims concerns she previously raised about the charity’s lack of internet security and safeguarding were ignored. The mum-of-three also claims she was not given a fair hearing and key elements of the investigation have been misconstrued. She said she had no reason to suspect what the youngster was about to do and it resulted in her being interviewed by terrorist safeguarding police. Ms Fletcher said: “He said could he show me something on the internet. I was not told anything about him, so I had no cause to suspect anything. I said, ‘yes’. “I stuck on the screen and it was a graphic beheading. “I asked him to turn it off and I spoke to him about watching these kind of things. Ms Fletcher raised the matter with MP Lindsay Hoyle. But Rathbone today vigorously defended its actions. They said the learner accessed the gruesome video through Ms Fletcher’s staff computer, they do have suitable firewall provision and user policies, and disciplinary action was carried out appropriately. Rathbone says Ms Fletcher was wrong to grant the learner access to her staff computer and the charity was justified in its handling of the case. Managing director Linda Dean said: “Because of Ms Fletcher’s actions she was suspended immediately and later dismissed for inappropriate conduct. The safety and wellbeing of our young people is paramount and learners do not have open access to internet content, unsuitable content is blocked by a firewall.